Super Mario Odyssey is on the way...to say I'm hyped would be a vast understatement. Since his arcade debut as Jumpman in 1981, Mario as long since been Nintendo's iconic mascot and one of the most renowned heroes in the gaming industry - his reputation precedes him with some of the best games on offer to audiences of all ages. Without a doubt his 3D outings remain just as iconic as his famed 2D ones, and it goes without saying all have maintained a consistent streak of quality over the past two decades. So this list sure isn't an easy one to form...but now let's rank all of Mario's main 3D adventures, all of which adopt their own innovation and offer some of the best experiences on their respective platforms. A simple yet strong effort for Mario's main 3DS debut, Mario 3D Land deftly blends the straightforward structure of the 2D classics with the complexity of his 3D efforts - the end result is a game that offers an addictive and well designed platforming experience approachable for loyal fans and newcomers alike. It's first admirable factor are of course the visuals which, impressive 3D effects aside, are certainly some of the best the 3DS has to offer, full of colour and vibrancy and with the simple yet insanely appealing art direction Mario's finest works are always known for. Perhaps 3D Land isn't quite as memorable as later entries to this list, simply because it may seem little short lived to some and not full of as much innovation to give it the same impact other titles have boasted. Regardless, that doesn't jeopardize it's overall quality by any means, and there's no denying this is one of the best 3DS titles even half a decade on. Mario 64 being so low on this list may not click with many of you I imagine...though I must emphasise once more that these games are largely even in terms of quality so this in no way implies 64 is an average game. It already wins acclaim for being such a benchmark in the platforming genre, pioneering and refining conventions such as complex analogue control and a 3D camera system. It's also quite remarkable how well the experience has aged - even two decades later, revisiting 64 never feels like an outdated experience and remains just as fun as it was way back when. What makes 64 such a great experience is the expansive structure most levels boast, promoting exploration without feeling too vague in their design. It's bags of fun to just mess about within the stages' most intricate areas, and seeking out more and more secrets in the process. It's also pleasing just how much variety the game offers - stages range from colourful yet chaotic battlefields, soothing harbours, and a tall, tall mountain (literally), so each experience feels just as unique as the last. There's still plenty of fun and variety on offer, and the game's influence on the industry alone makes it something that will never get old. The DS remake, somewhat awkward controls aside, is also a respectable update; being able to play such a masterpiece on the go already makes it worth having. 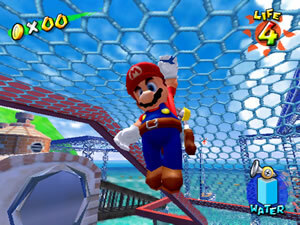 Mario Sunshine is the series' title that yields some more mixed reactions within the fanbase; it's a great game, no doubt, but it's slightly stronger focus on story perhaps didn't work out too well in many people's eyes, and it's occasionally savage difficulty wasn't always appealing when trying to reach that 100% completion. 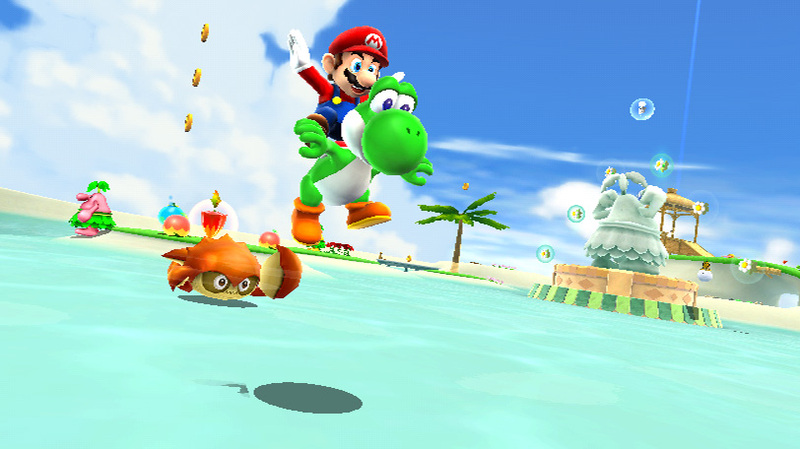 Sunshine's story sees Mario on vacation at the gorgeous Isle Delfino resort, yet he quickly finds himself framed for polluting the island's beautiful locales and is forced to clean up the mess whilst also tracking down the real culprit. It's nothing disastrous, perhaps just a bit hard to connect with considering the blatant idiocy of Delfino's native Pianta's and the incredibly cheesy voice acting. That aside, Sunshine is definitely one of the best GameCube titles; notably impactful for me as I'd dub it my first true experience with the plumber, considering I was more into the Sega Genesis and PlayStation during past generations. The new Isle Delfino setting allowed each stage to be fresh in terms of design, and their expansive structure once again promotes exploration; it's equally fun to put the main quest aside to goof off and locate more and more secrets. The integration of FLUDD, Mario's water backpack, also stirs up the experience even further - FLUDD's various nozzles allow you to not only take care of foes and hazards with blasts of water but also navigate large gaps and zoom up to higher locations. It's aforementioned difficulty perhaps could've been a bit more refined, and you certainly wish the characters didn't open their mouths during most cutscenes, but Sunshine is otherwise one of my favourite Mario titles no questions asked. Branded one of the best games of all time by critics and audiences alike, Mario's debut on the Wii ten years ago now certainly helped prove Nintendo wasn't just trying to milk the casual market with their latest and most controversial console - indeed, there was still the same genius company we all know and love within, capable of making some of the best first party titles seen across all generations of gaming. Galaxy deserves it's strong acclaim simply because of how much ingenuity the developers injected into the experience - as the title suggests, Mario is now whizzing into outer space to stop Bowser once more, and this setting of course paves the way for some of the most innovative level design the series has to offer even today. The various galaxies Mario explores adopt all kinds of themes - beaches, gardens, volcanoes, you name it. We've seen similar stuff in previous Mario titles, but the fresh design in Galaxy's most notable stages make them far from samey. It's this blend of solid art direction and some amazing technical aspects that also helped show the Wii as something very capable of impressive modern graphics, even if it lagged behind it's rivals. As well as visually stunning, each level is also packed with depth and, whilst the design is actively more linear than 64 and Sunshine, there's a lot of fun to be had as you explore more and more of each world. It's a bit easy at times, yeah, but that matters not when Ninty have otherwise crafted a masterpiece of game design that will never lose it's impact. Oh, and that music...enough said. The Wii became such a gargantuan hit and enjoyed such a long life that there was time for two main 3D Mario games; with so many ideas they couldn't possibly fit into the original, Nintendo came back for the first main sequel in Mario's 3D history, building upon an already stellar formula with some neat little additions and of course an onslaught of new, equally absorbing levels. Of course the most notable addition at first glance is the return of Yoshi, making his first 3D Mario appearance since Sunshine eight years prior. He can be a little underused I won't deny, but the inclusion was certainly a superb one, far more enjoyable and less fiddly than his Sunshine gameplay and paving the way for more and more creativity during his main segments in certain levels. 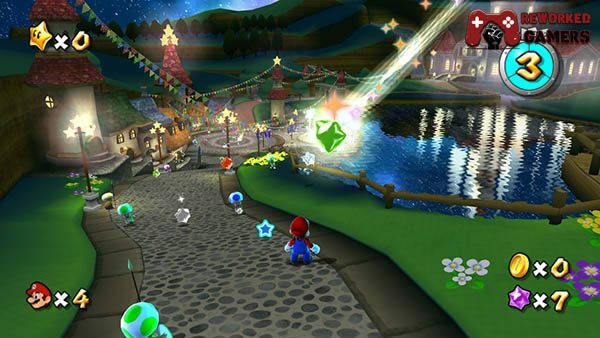 Galaxy 2 also streamlines the experience a little more by featuring a much smaller hub world and a stronger focus on a world map to connect each level - it may seem a shame to not have as much freedom initially, but this is a minor worry when the game's fluidity is seriously aided by this new, simpler structure. Aside from such tweaks, Galaxy 2 doesn't dramatically alter the experience offered by its predecessor, meant in a good way as of course if something isn't broken, don't fix it; the new stages and missions offer plenty of challenge and enjoyment, yet the game still adopts the same stellar visuals and fluent controls. The outcome? Certainly that rare superior sequel. Though certainly considered one of the Wii U's best titles, Mario 3D World wouldn't be most people's choice for the best of the plumbers 3D outings. Not that it's bad in any way, but perhaps just not as impactful as past efforts, considering the resounding influence many of them had on the platforming genre. But alas, whilst it took a lot of thinking due to the franchises refined quality, 3D World has to be my pick for the best of the best. 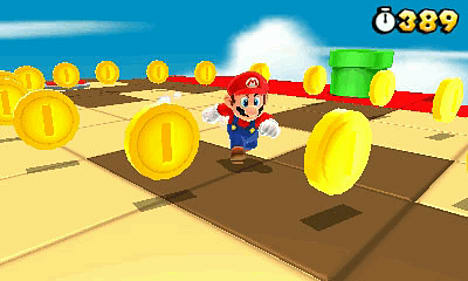 The game adopts the style of 3D Land, with timed, somewhat linear stages, but builds upon it with a dozen new ideas of it's own: a world map more open to some exploration, more and more thoughtful concepts within each level, new power ups, and of course a multiplayer element that makes the experience over ten times as fun when shared with friends. The multiplayer may get a bit crowded during the later stages, but it remains one of my favourite aspects of 3D World's experience, and it's nice to see some later levels actually designed with it in mind to allow you to unlock new secrets and pathways alongside teammates. It also goes without saying that on a visual and audial level, 3D World remains true to the series' high standards, boasting some of the Wii U's most crisp, vibrant graphics and a soundtrack that is without any forgettable tunes. Whilst I look forward to Odyssey returning to the more open world design, 3D World again proves the more linear structure is not without depth of it's own, and can certainly be just as engrossing. UPDATE: This post has now been adapted into a video for the gaming channel ProjectFalconPunch! Check it out via the link below!